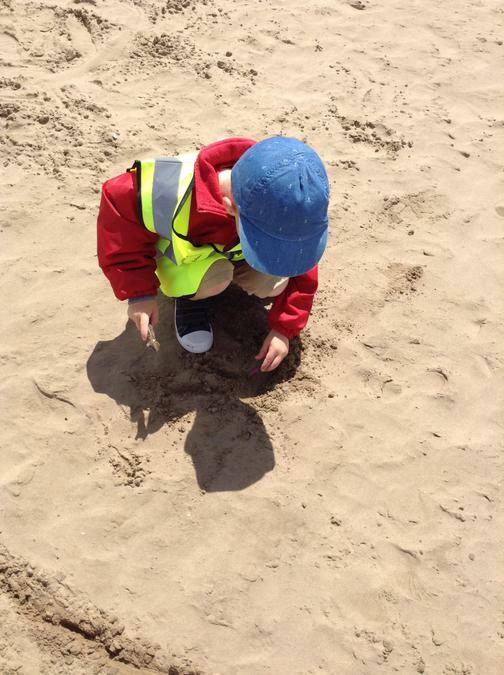 This week has been extremely busy with three different visitors and the children have behaved impeccably, demonstrating good listening, following instructions and having a go to join in with new experiences. 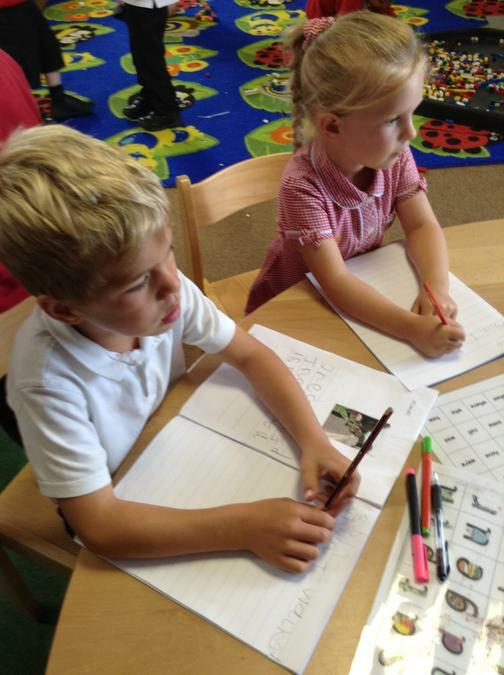 They are definitely getting ready to become year ones! 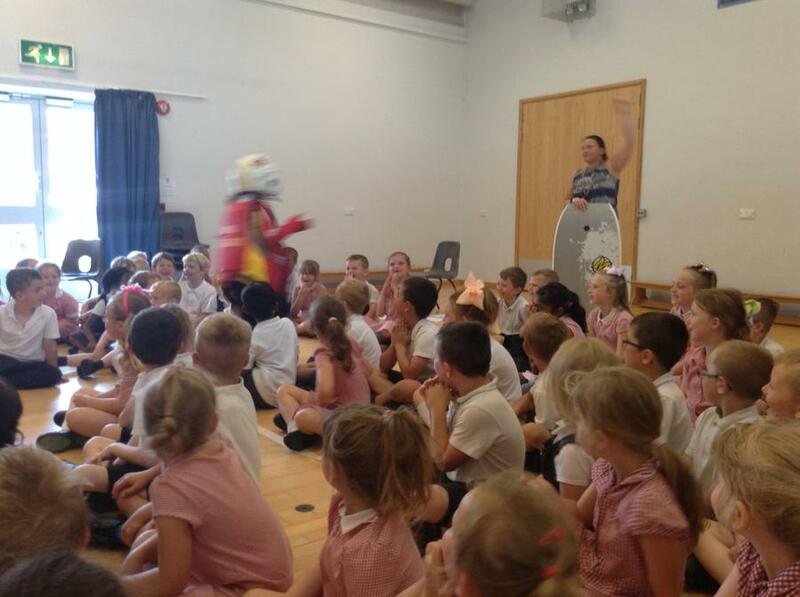 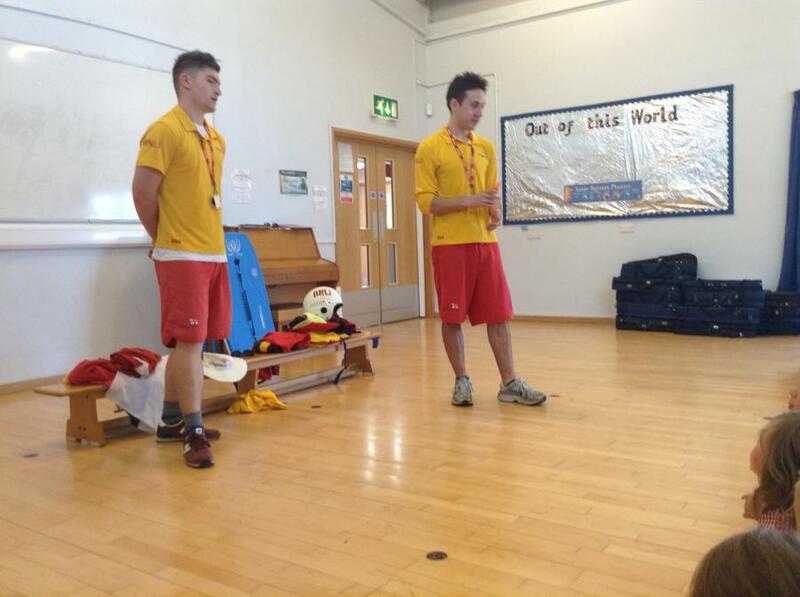 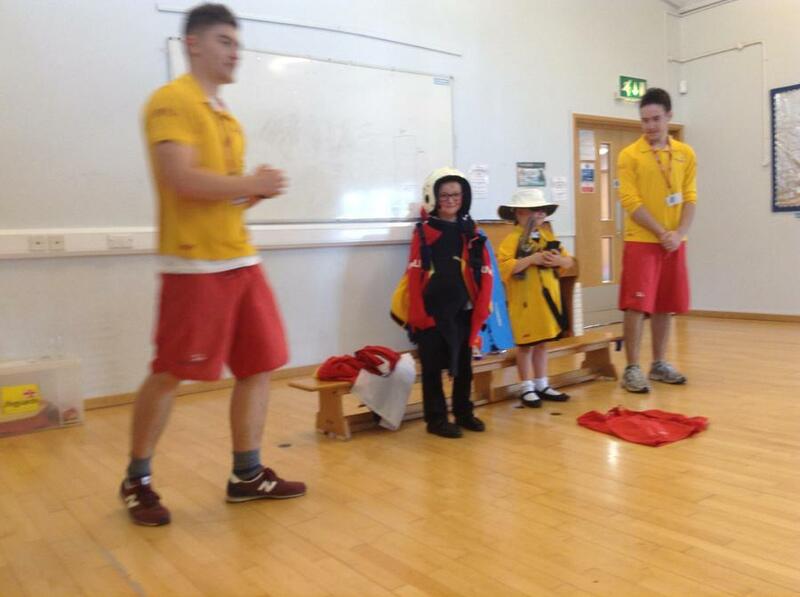 Our first visitor were some lifeguards from the RNLI that spoke to the children about keeping safe at the beach and near the water as well as keeping safe in the sun using 'slip, slap, slop'. 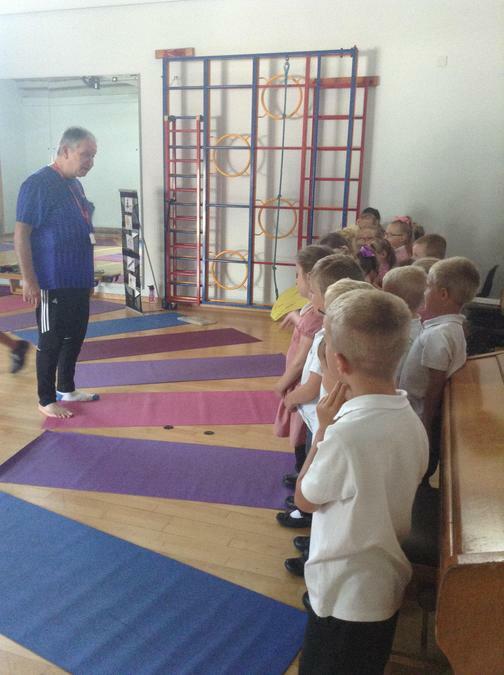 Our next visitor this week was a session with Michael, a Yoga instructor. 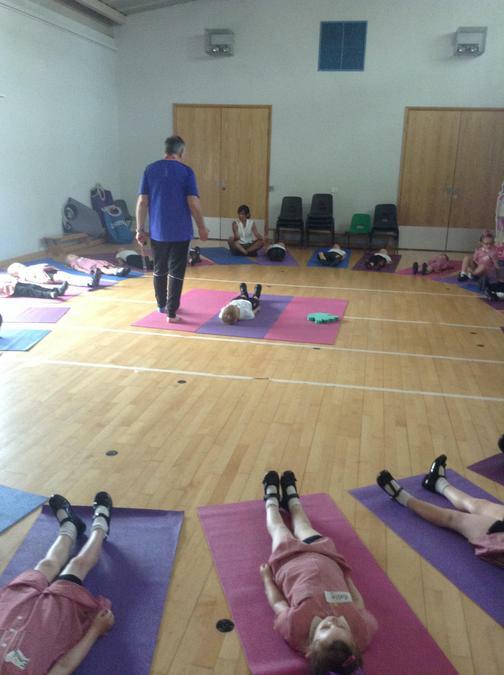 He showed the children different positions and taught them some games based upon Yoga positions that helped to have fun whilst also being aware of where our bodies were placed, our breathing and ways to relax too. 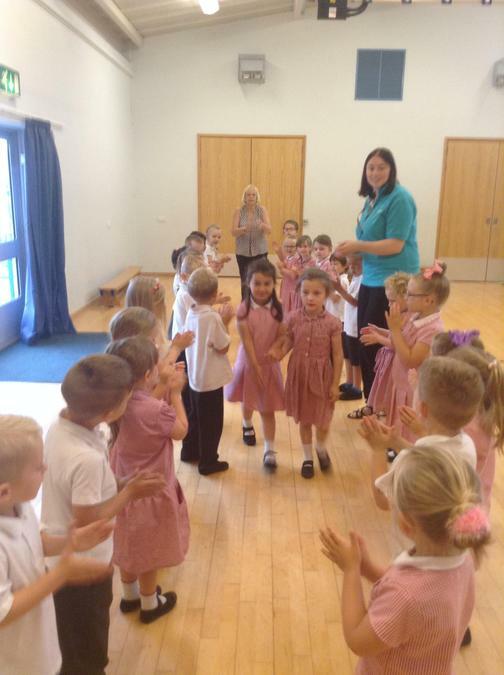 The children listened intently and Mr Leeson even gave our class a book award for the outstanding behaviour the children displayed - Well done Reception Class. 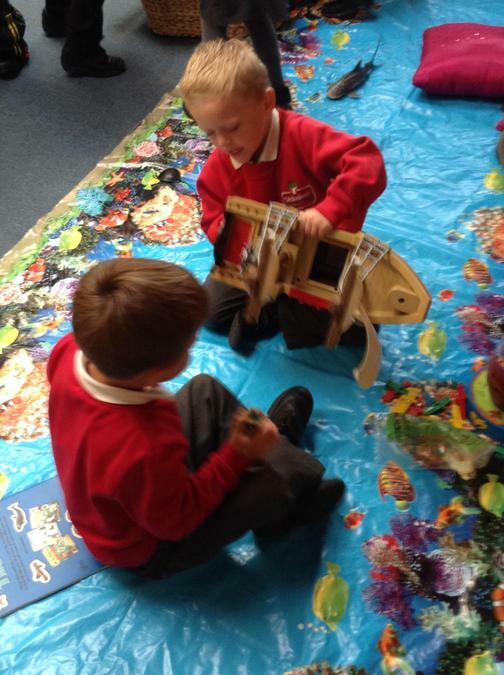 We are looking forward to using this new knowledge together and practising the positions and games together. 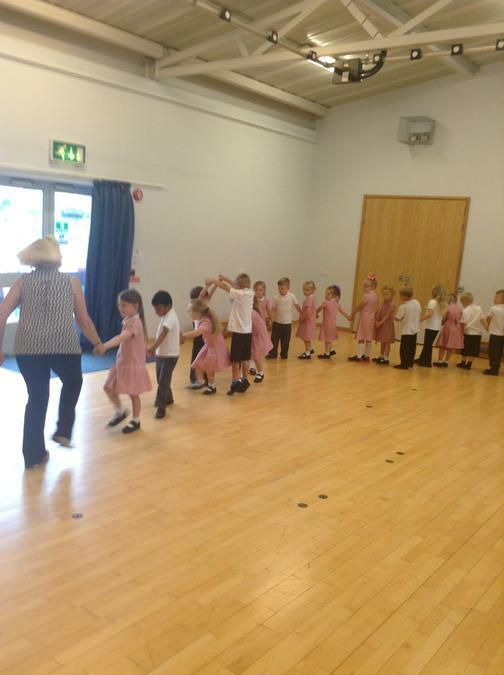 Our last visitor was Mrs Clough and she taught us some dances and songs from folk dancing. 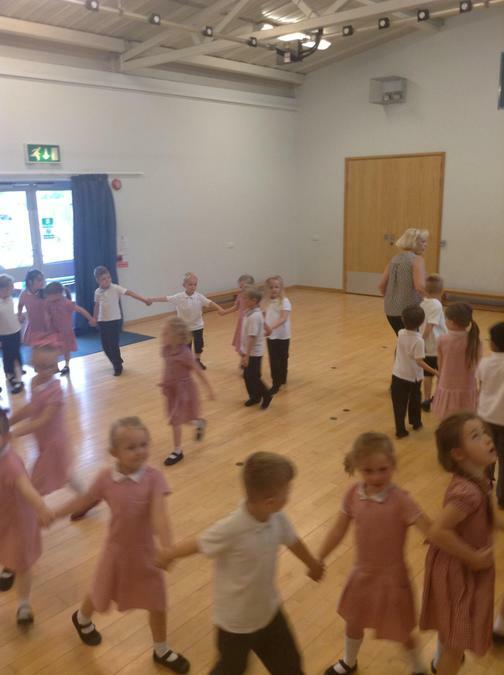 The children sang beautifully and they took part together, learning set dances and moves as well as some songs too. 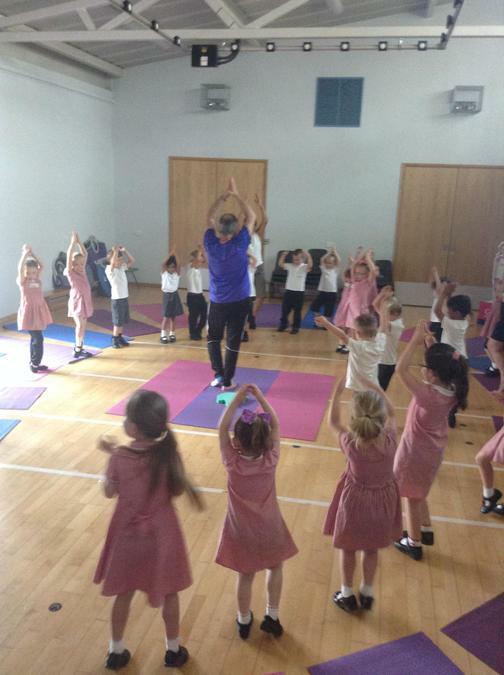 Mrs Clough was very pleased with how well the children took part and kept a steady beat really well. 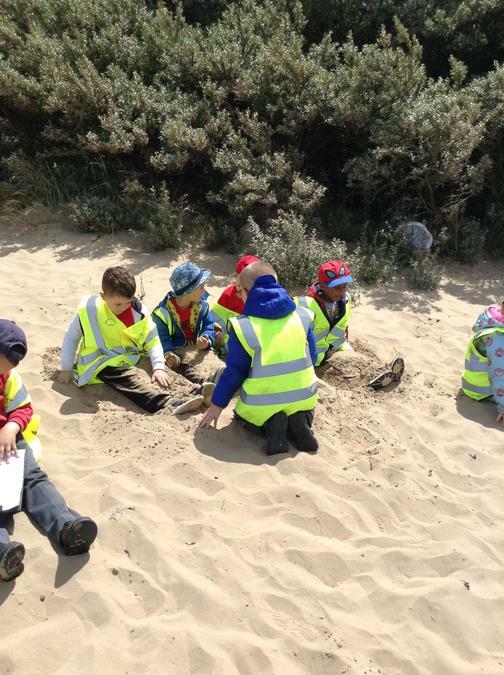 In literacy the children read a message in a bottle that Mrs Newton found on the beach. 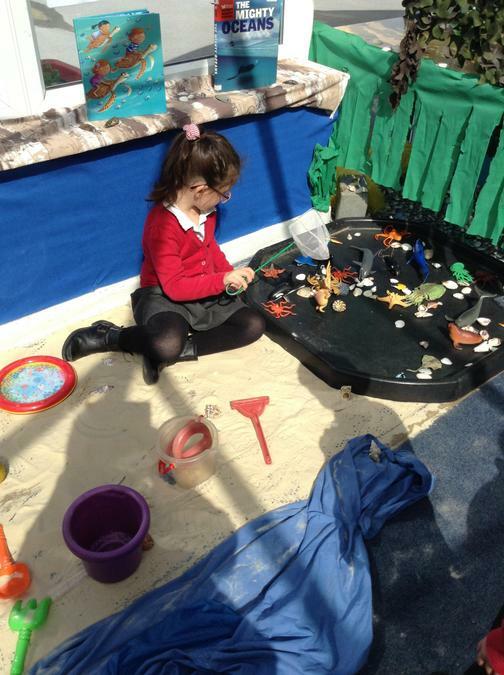 It was from Pirate Annie and she was stuck on an island with the coconut trees. 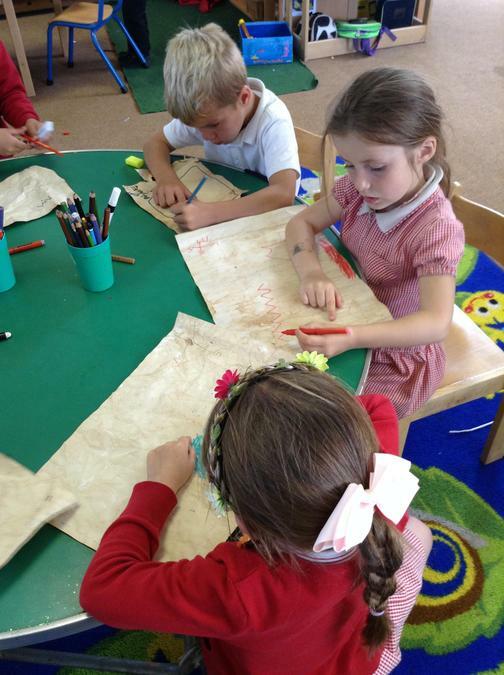 The children all then imagined that they were all stuck on a treasure island and needed to write a note for help, giving details of what the island looked like, so they could be found. 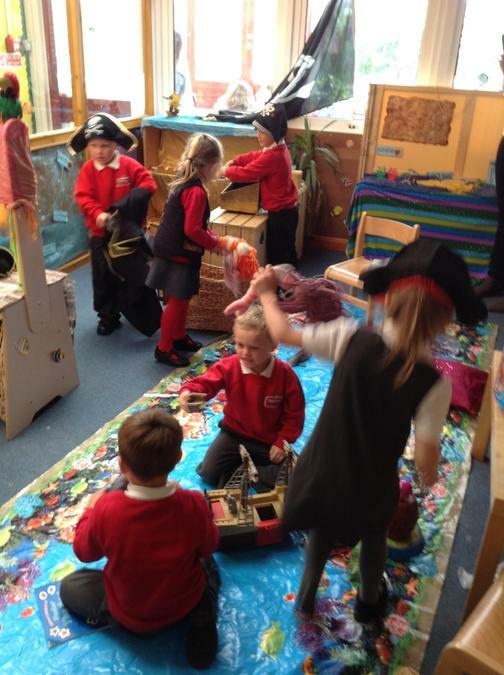 Other activities we have been doing through the week was to paint individual pirates with lots of detail, painting planks to make it look like wood so we can make a pirate ship together. 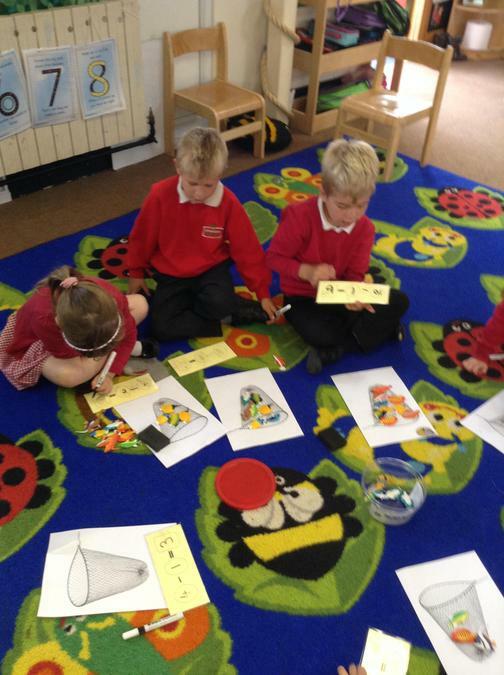 We have also been concentrating on number formation and counting in 1's, 2's, 5's and 10's. 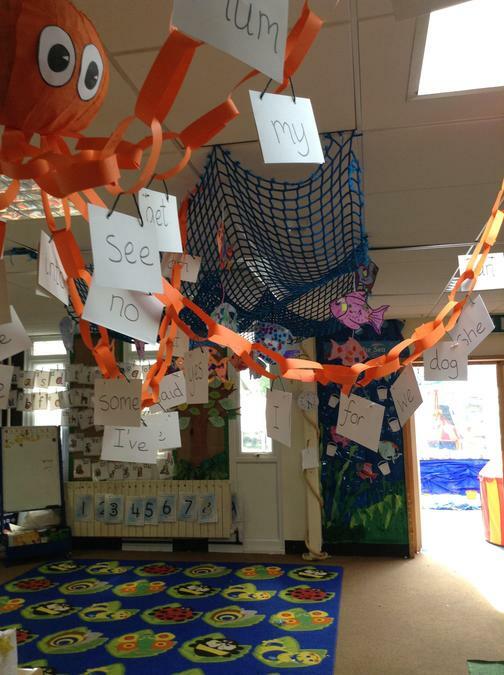 The children have also started to learn the poems from the class book 'Commotion in the ocean' and recognising all the rhyming words. 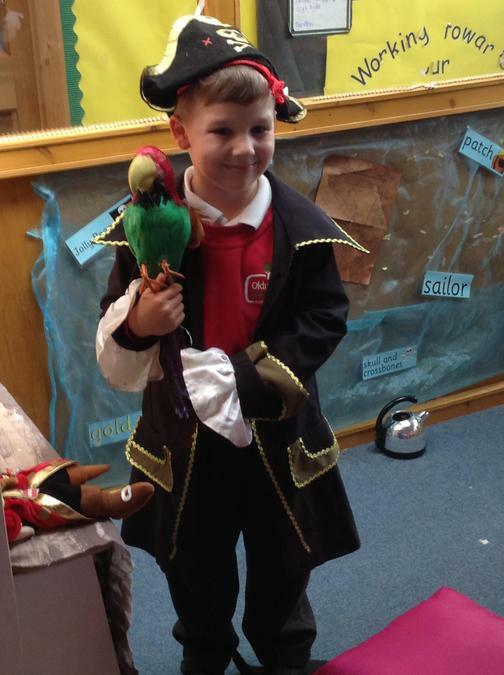 Next week we are looking forward to learning and writing about the book 'Pirate love underpants' and lots of pirate activities based on the children's activities. 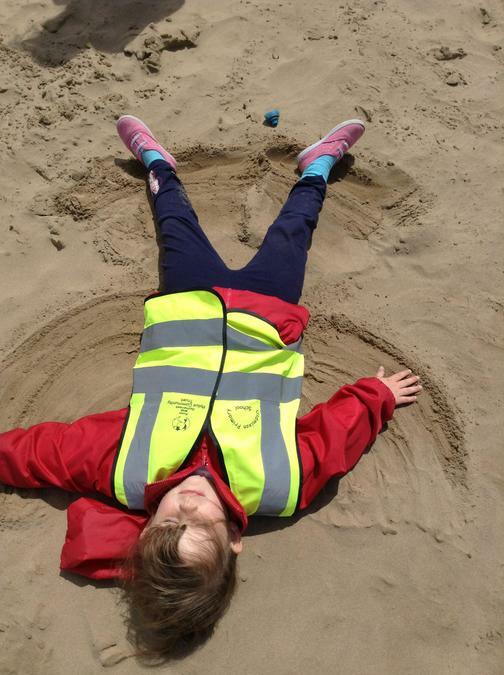 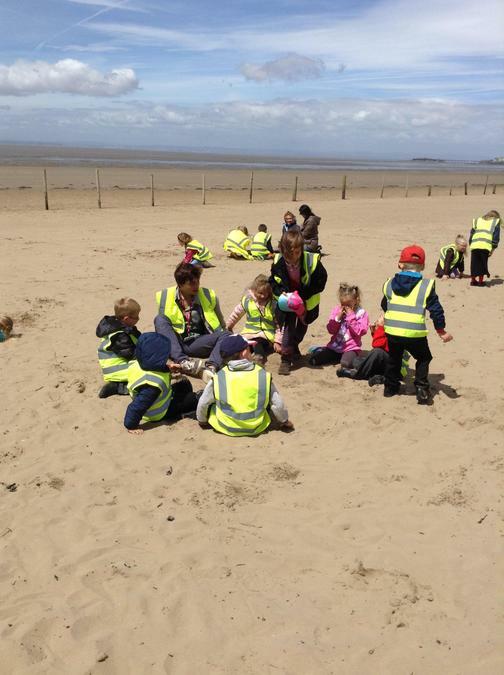 We had a brilliant start to the week with our visit to the beach. 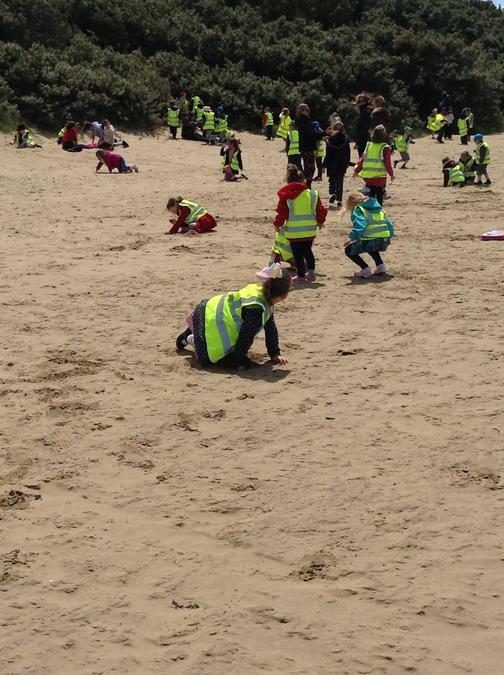 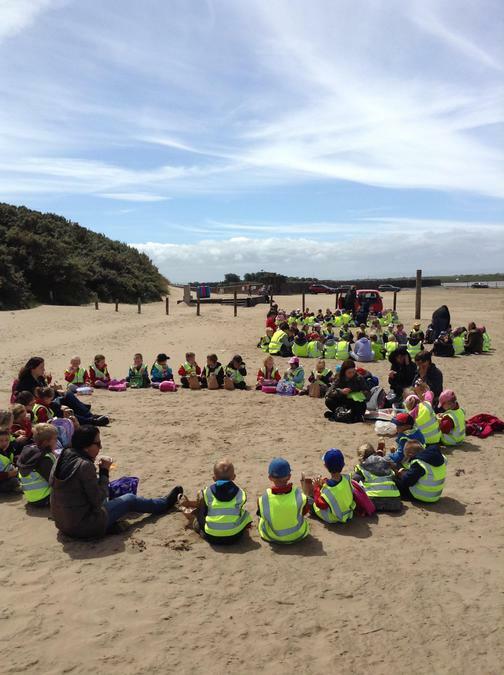 The children enjoyed the experience of having a picnic on the beach before enjoying lots of games. 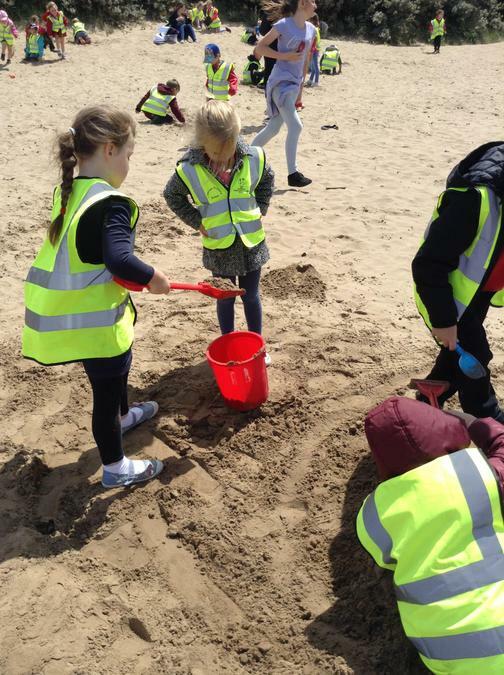 They made letters and words in the sand, deep holes, big sandcastles, drawing the scenery, listening to seaside stories and enjoying being together and having fun. 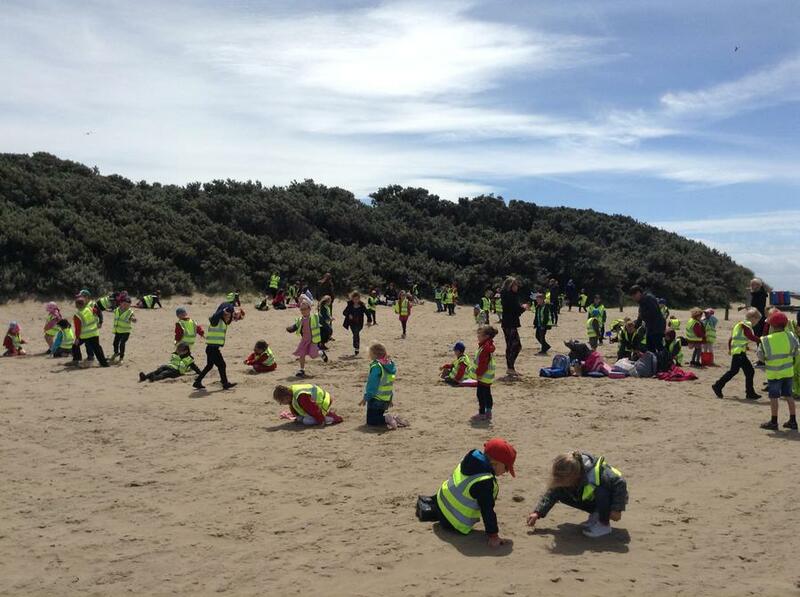 The children were really well behaved and everyone enjoyed the experience, even though it was rather blowy! 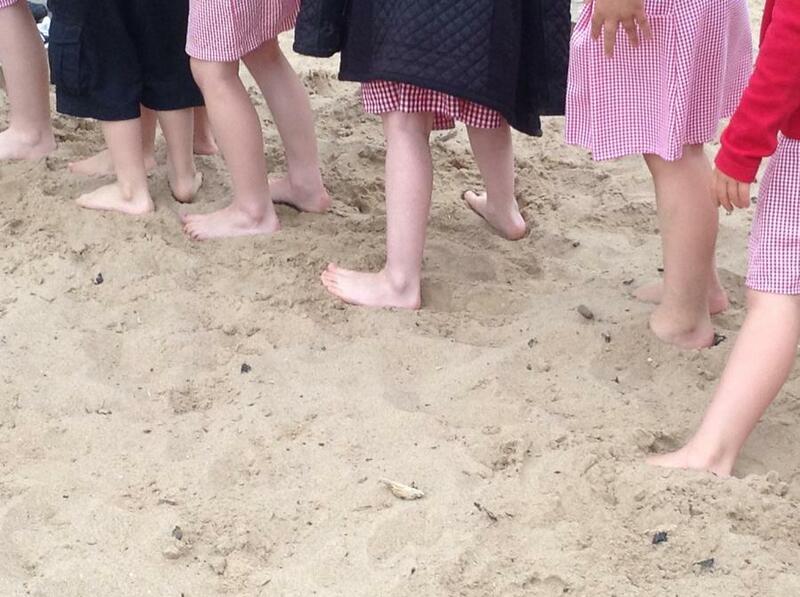 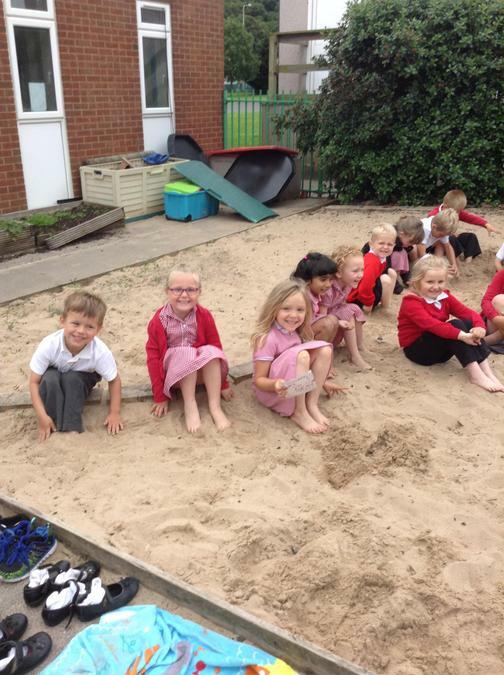 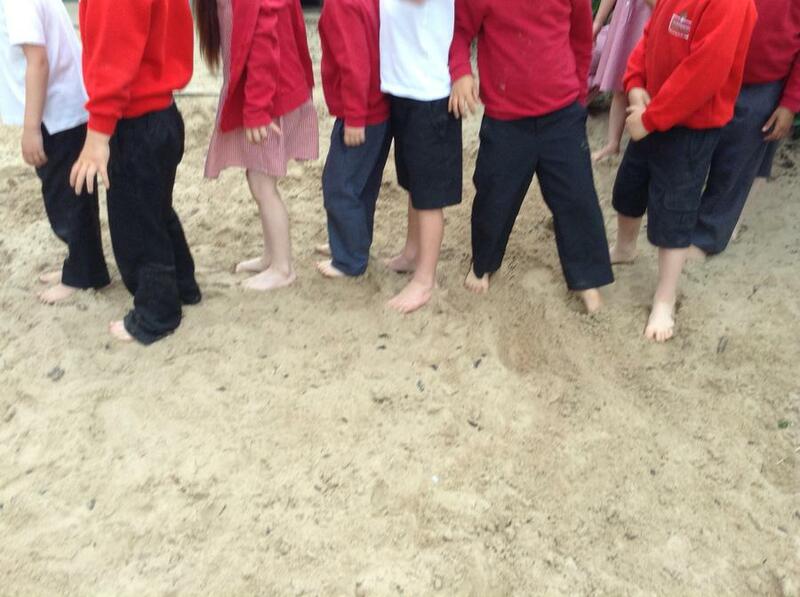 In literacy the children all wrote about their experiences walking in the sand and they all went out to the sand pit and walked around with bare feet to all experience how the sand felt. 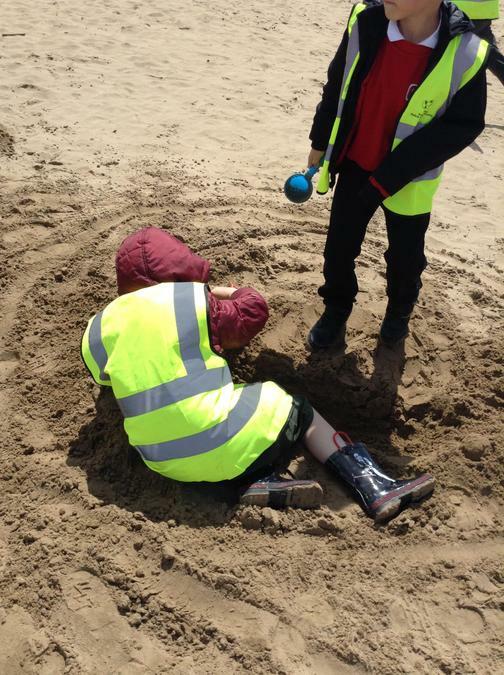 Then, the children went in and created a and map of describing words about the sandy feeling, before using the words banks they had created, to write a short recount describing walking across the sand with as much descriptive detail as possible in their sentences. 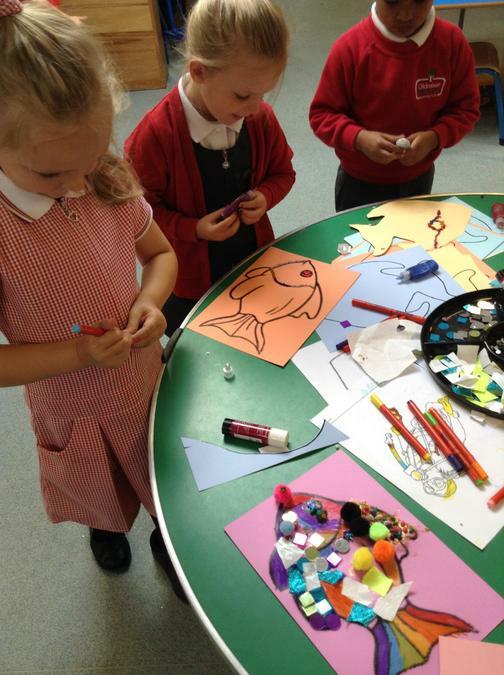 The children have also been very busy with their creative activities. 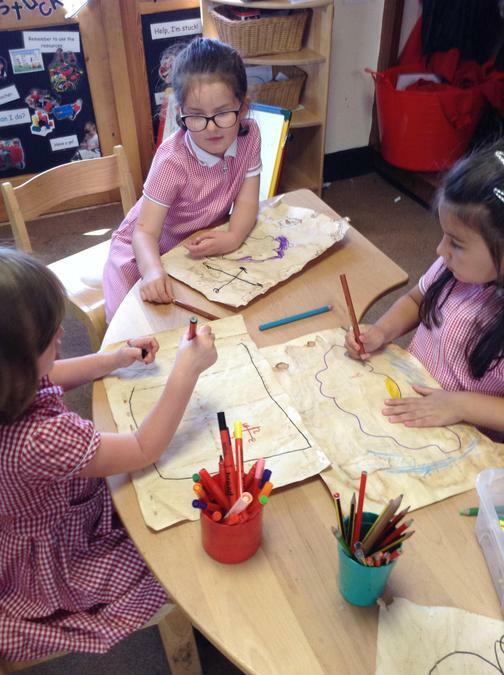 They have created their own treasure maps on the aged paper from tea and coffee, complete with marked route, details and compass points. 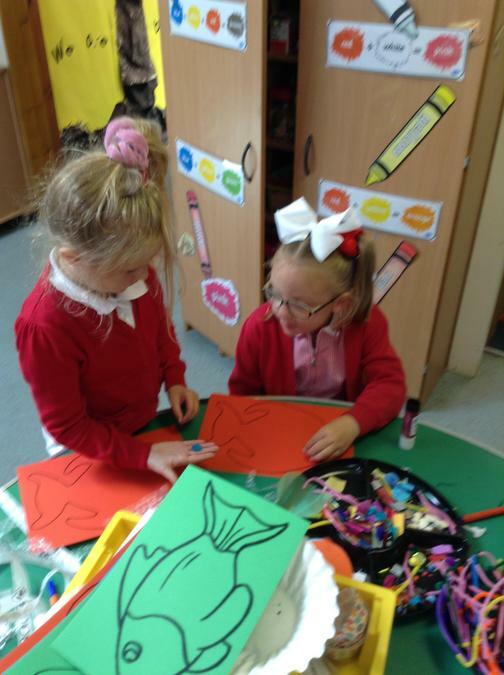 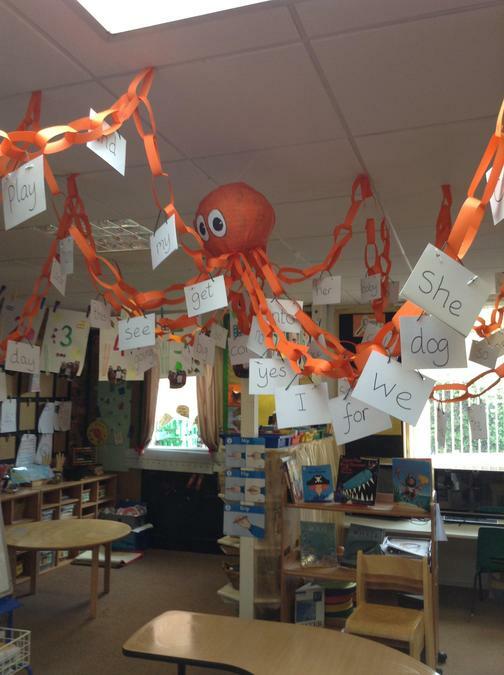 They have also been busy creating under the sea creatures to decorate the room. 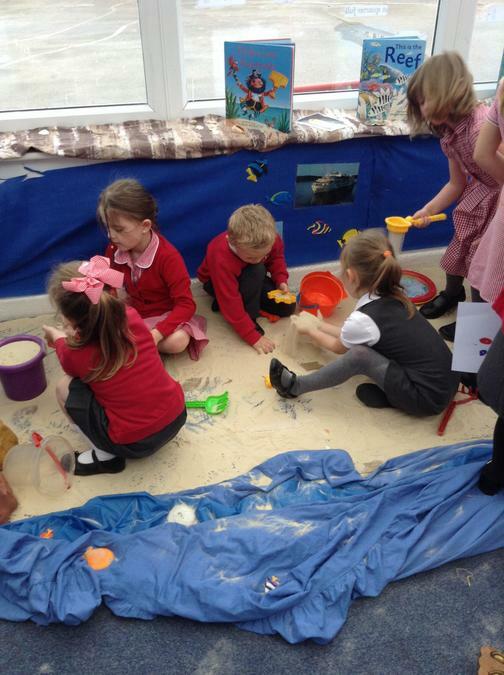 Our first week back has been a very busy one and the children have all returned excited to learn our new topic all about the beach and under the sea. 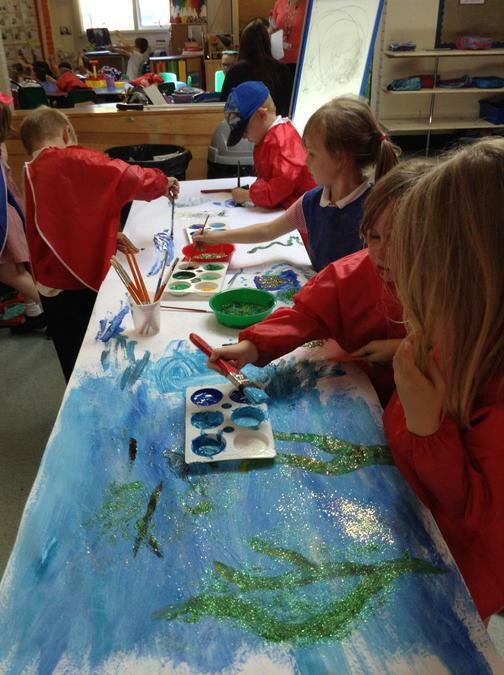 We all worked together to make our own underwater scene, complete with fish and and 'tricky word' octopus. 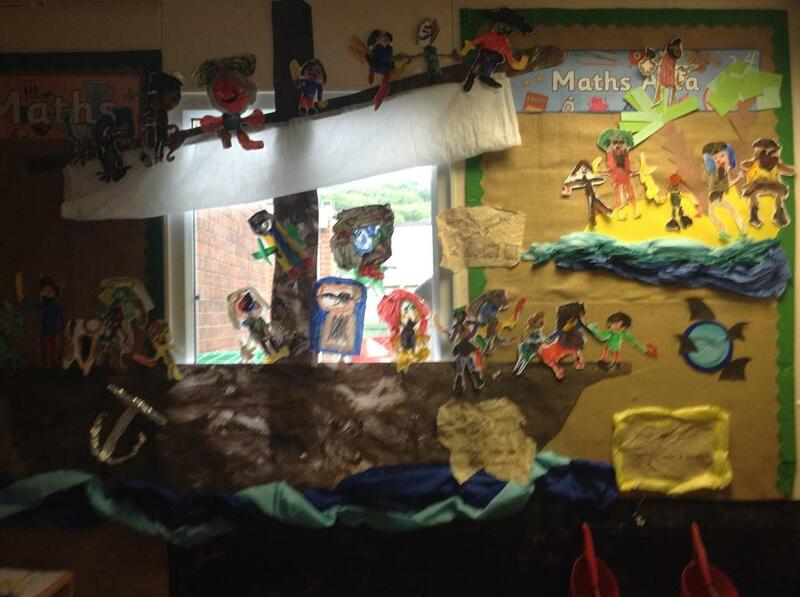 ...we also have our very own pirate ship too! 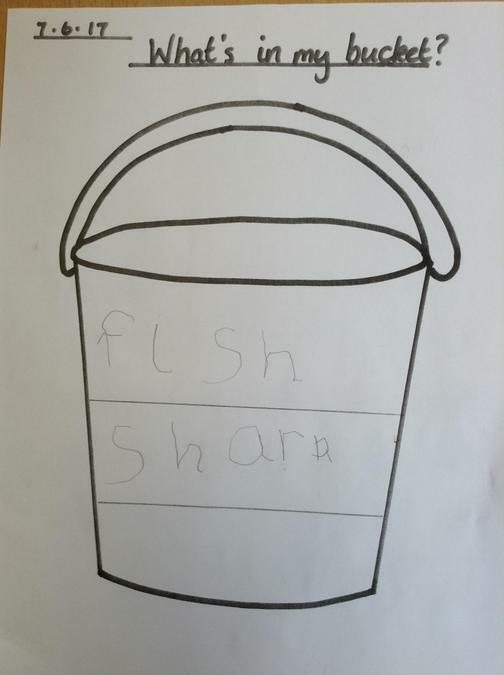 The story of the week has been 'Billy's bucket', all about a little boy who was desperate to have a bucket for his birthday. 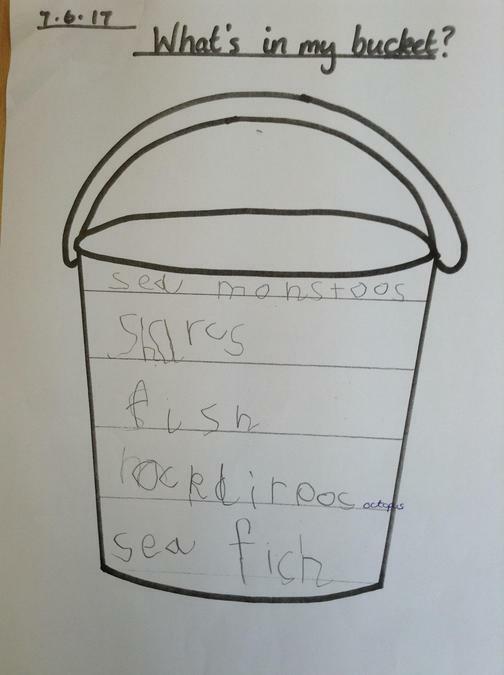 In his bucket he saw wonderful sea creatures, but his parents didn't believe him, until they used his bucket without asking! 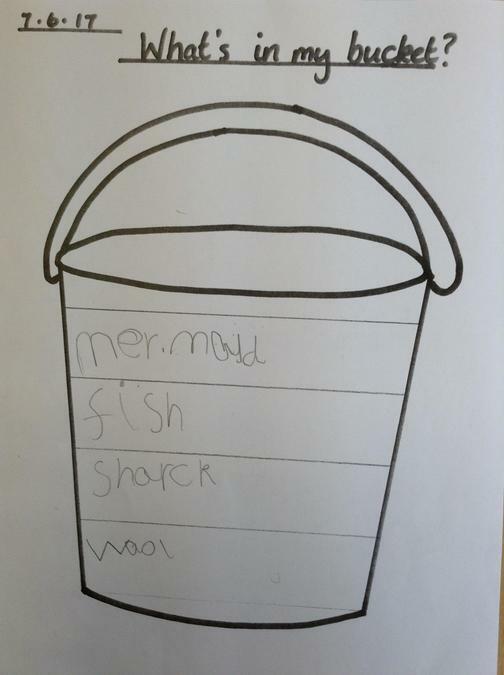 The children used their phonics to write a list about all the things they might be able to see in their own buckets. 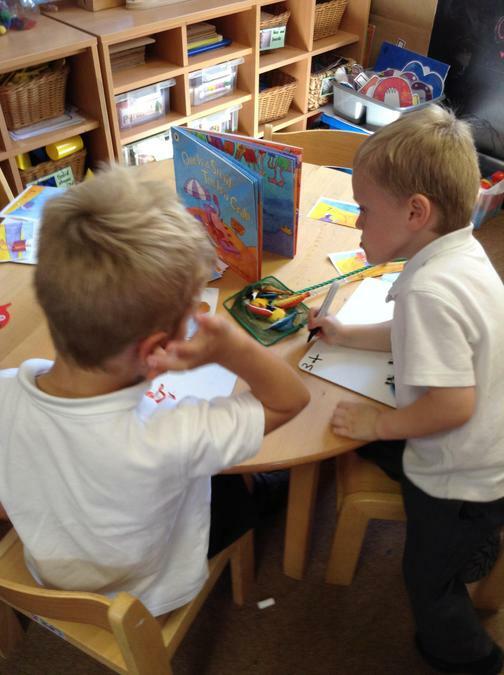 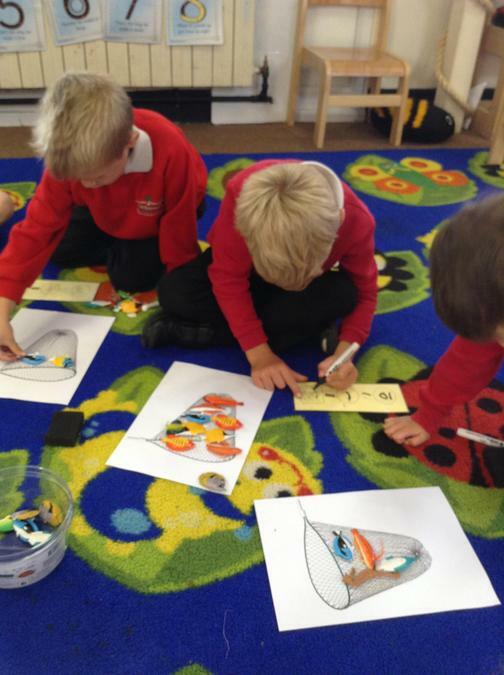 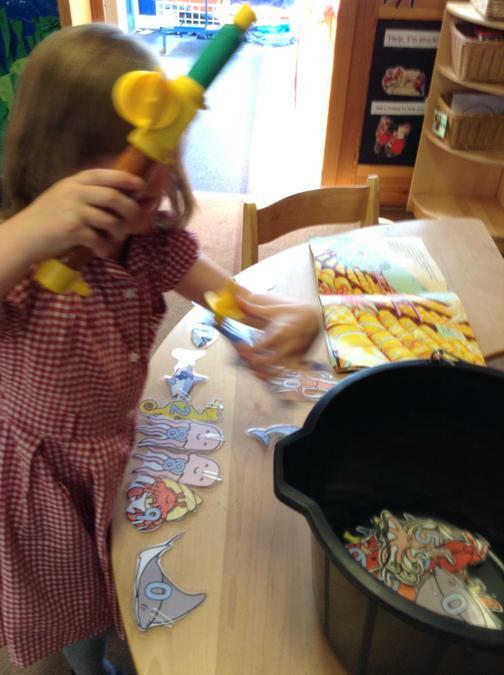 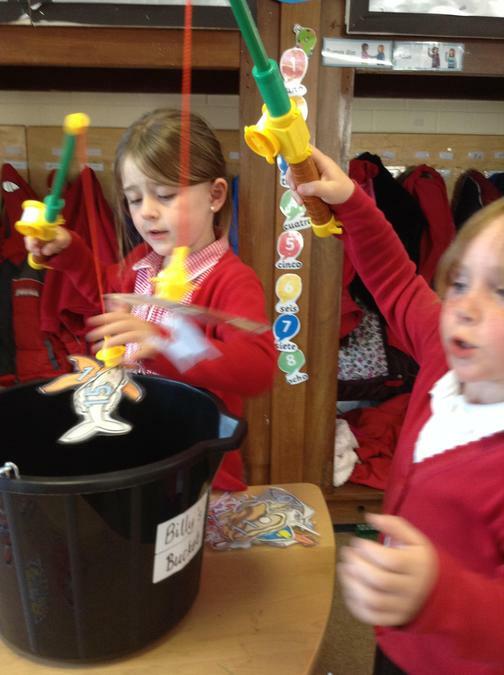 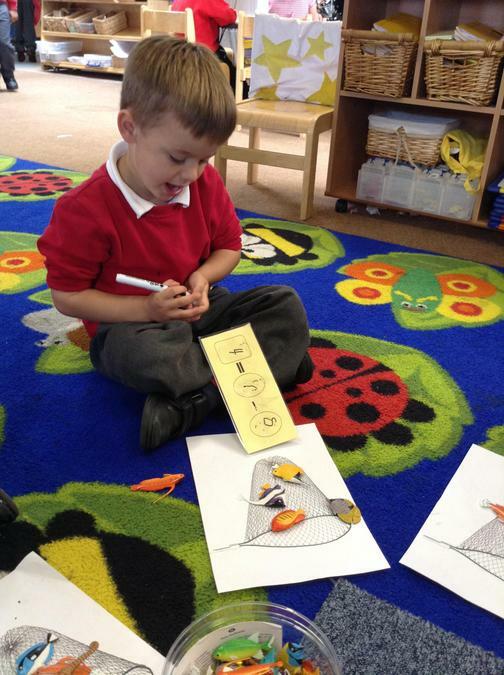 In numeracy there have been lots of activities using fish to make 'fishy number sentences', both adding and subtracting fish from a total amount in the fishing net and the children have also been looking at different ways to record this. 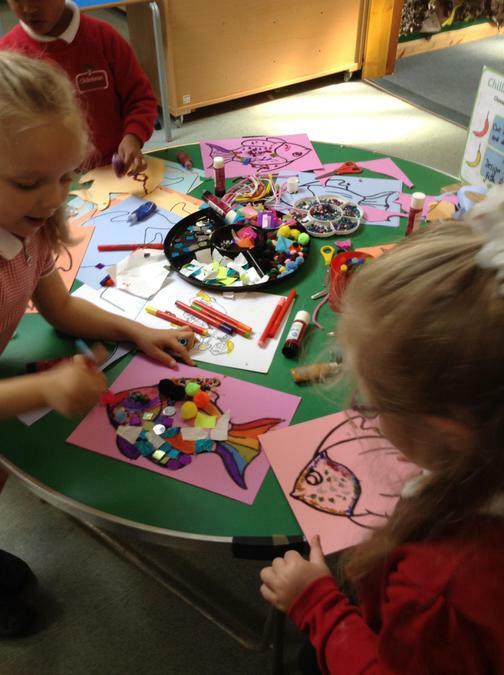 The children have enjoyed creating their own individual fish to swim in the ocean, they look fantastic swimming about our classroom. 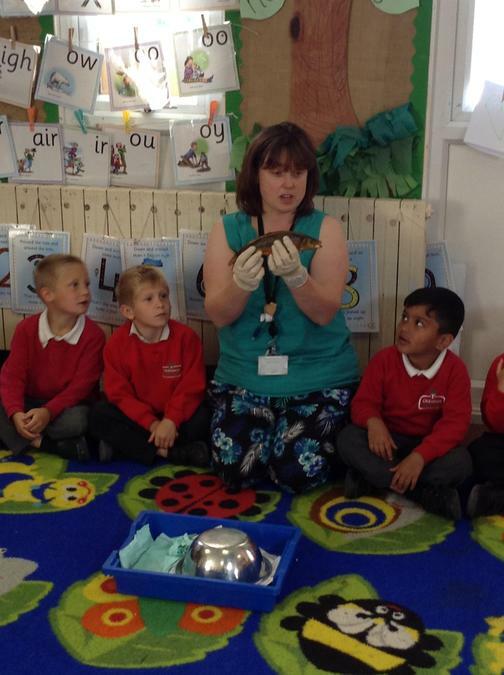 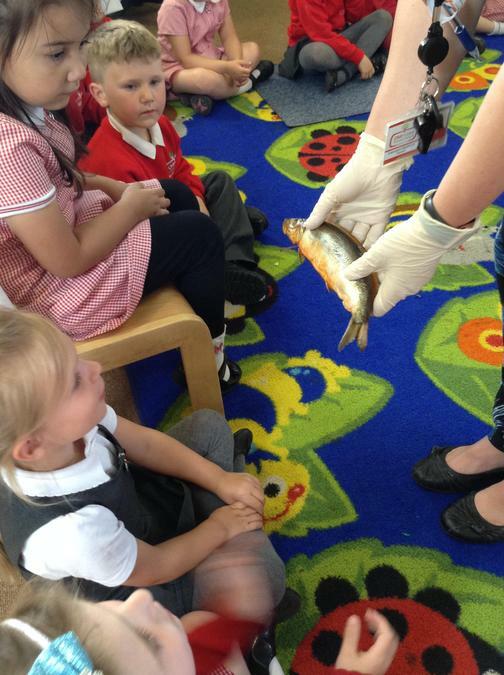 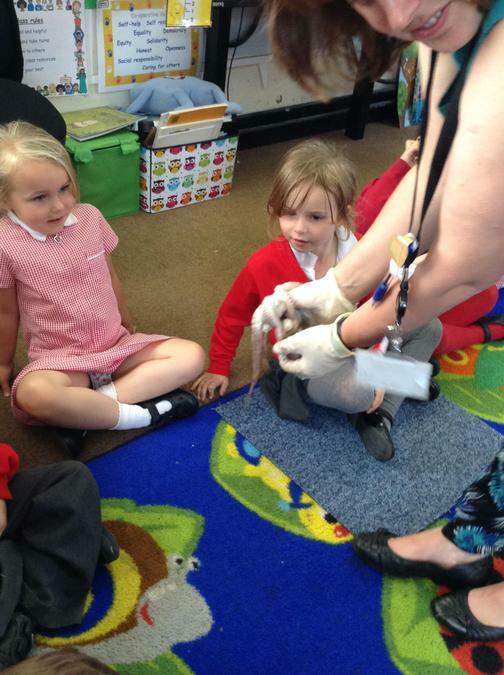 The children were really interested by the kipper and squid that came into our class. 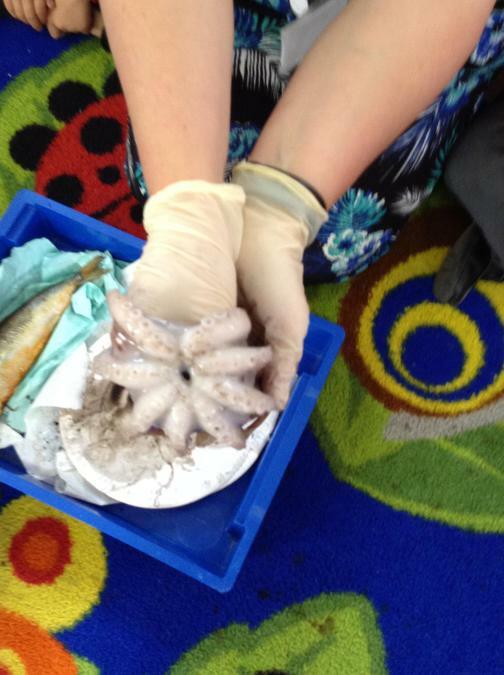 They were fascinated by the scales, gills, tentacles, and ink that they were able to see; even though it was a little bit smelly! 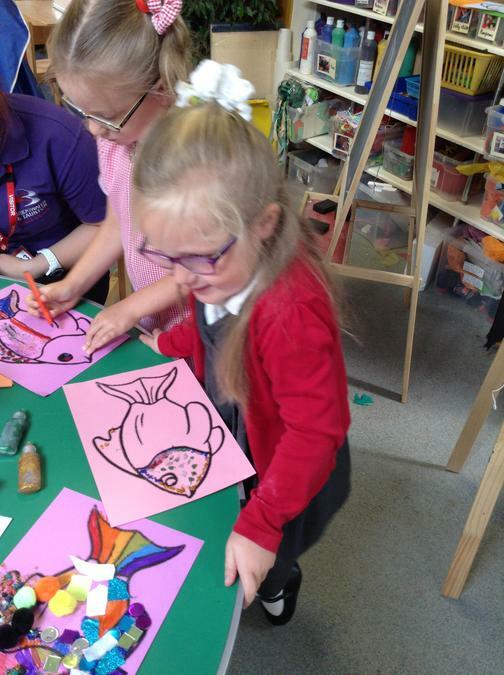 We are really looking forward all the exciting activities this term as well as working towards getting ready to become a Year one and look forward to sharing all these adventures over the next few weeks.